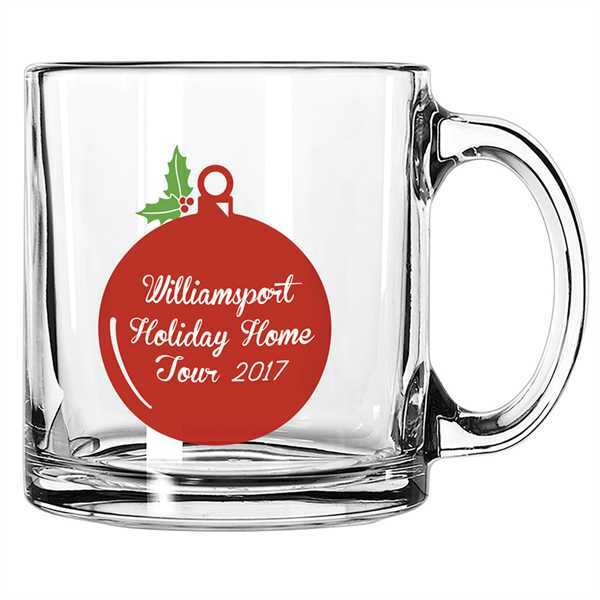 Get customers excited to learn more about your business when you introduce yourself through this clear glass mug as a gift! It holds up to 13 oz. of liquid and features a beautiful ornament design, making this perfect for use around the holidays. You get a one-color imprint with two additional colors as your way of showing off your company name or logo. Make the season bright with a fantastic item like this! Price Includes: Per imprint color when placing exact repeat order. Price Includes: Each color, on orders less than 576 pieces. Exact match not guaranteed. Price Includes: 1 color imprint. Price Includes: Full artwork and set-up charges apply for first item.